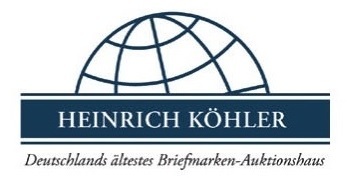 We are proud to present our next two sales, both to be held in April. Printed catalogues are currently being produced, and will be in the mail within the next couple of weeks. We will also have our sale hosted on StampAuctionNetwork in the coming days, for those who prefer to bid live. Each day we are uploading hundreds of new photographs of collection lots, so please check back if a lot you are interested does not yet have images. If you have any questions about our sale or are interested in registering to bid, please contact our office by phone, fax, or email today. 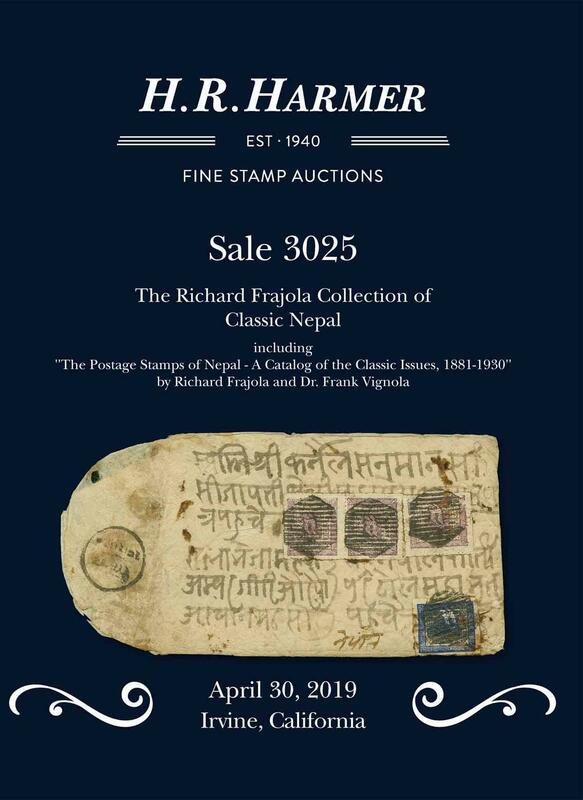 Consign Now To Our April 2019 Sale! H.R. 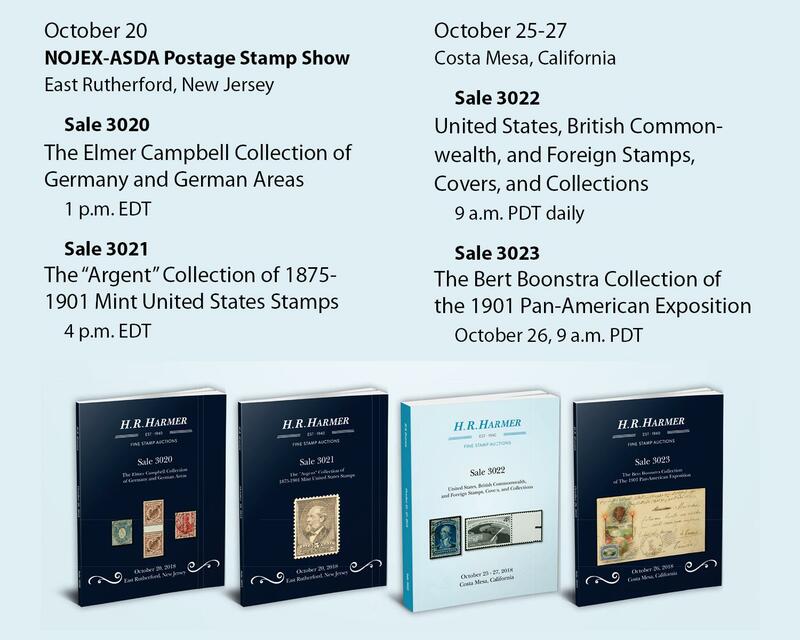 Harmer's next public auction will be held from April 4-6, 2019 in Costa Mesa, California. We are currently seeking consignments for this sale. 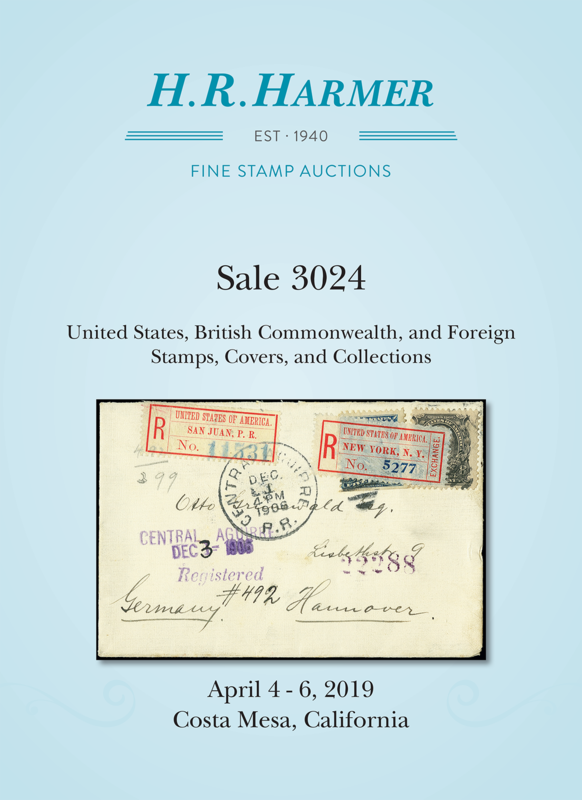 Already we have a wonderful offering of United States and Possessions postal history, including one of the largest collections of town cancellations ever assembled, in addition to specialized holdings of Guam, Eastern and Western Expresses, Locals & Carriers, and much more. If you are interested in consigning, please contact us today to speak to a member of our team. The catalogues for our Autumn auctions are now online. 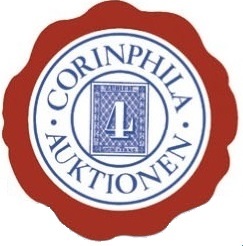 Click on the links below to browse the sales and to place your bids. Hundreds of new photographs are being uploaded daily, so be sure to check back if a lot you're interested in isn't pictured quite yet.